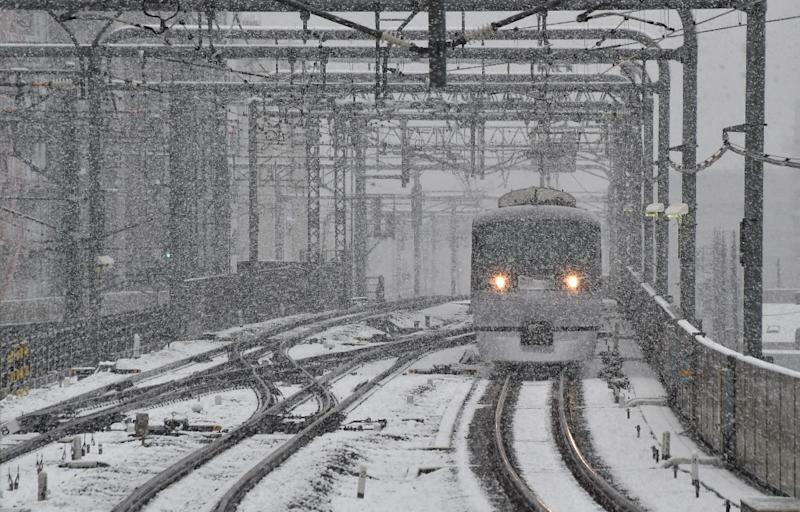 Tokyo (AFP) - Tokyo woke up Thursday to its first November snowfall in more than half a century, leaving commuters to grapple with train disruptions and slick streets. Amounts were greater in suburban areas closer to mountains but even central Tokyo saw brief accumulations, which the agency forecast to be as high as two centimetres (one inch). That was the first November accumulation since records began in 1875, the agency said. 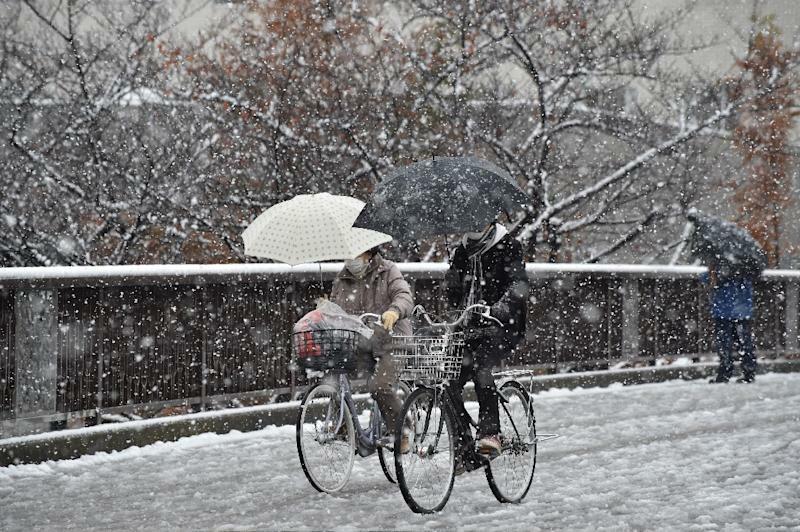 "I was surprised to see snow at such an early stage of the season," said Hiroko Tanaka, a Tokyo resident. "I felt this may be a sign of something abnormal in terms of natural phenomena," she told AFP. But experts say the situation is nothing to worry about. "Today's snowfall and accumulation occurred because several elements came together at once by chance," said Sakiko Nishioka, an agency official in charge of weather forecasting. "It does not mean this can signal any unusual weather conditions this season such as a super cold winter," Nishioka told AFP, adding that it was also unclear if it was related to climate change or events such as El Nino. Tokyo, which extends over a wide area and includes many suburbs, enjoys relatively mild winters compared to some other parts of the country where snowfall is more frequent. Television footage showed a resident in the western suburb of Hachioji shovelling snow as the pavement, trees and park benches were covered in white powder. Local media said at least 47 people were injured in the capital and its environs, including a man in his 40s who broke a wrist after falling on an icy street. Train and subway services were temporarily suspended or delayed especially in western Tokyo, affecting thousands of commuters during the morning rush hour. The rare early snow proved ephemeral, however, as it turned to rain and quickly melted in central Tokyo. The agency said temperatures would remain low but sunny weather is expected on Friday. But an agency official made the best of the opportunity, calling on people to take pictures of snow flakes and post them on Twitter. Such data is "very important for researching the mechanism of snowfall," meteorologist Kentaro Araki said in his tweet, which raked in numerous photos of snow flakes set next to one-yen coins for scale. "Snow is called a letter from the sky," he said in a separate post, adding that "by building up big data... I want to read into the mind of the clouds that make it snow".